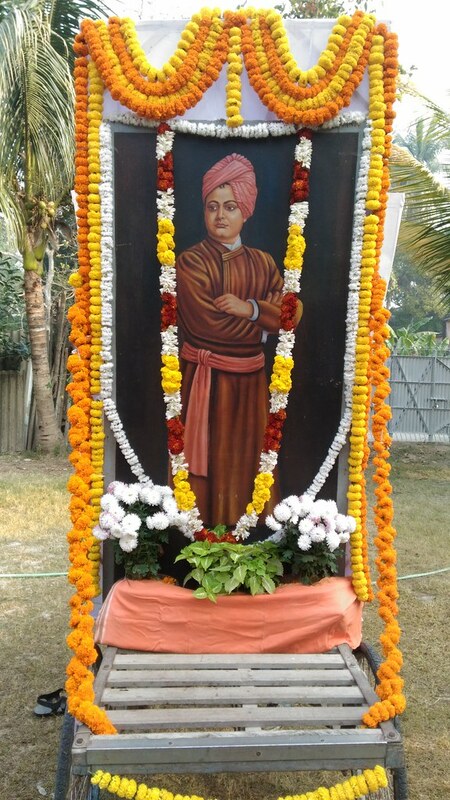 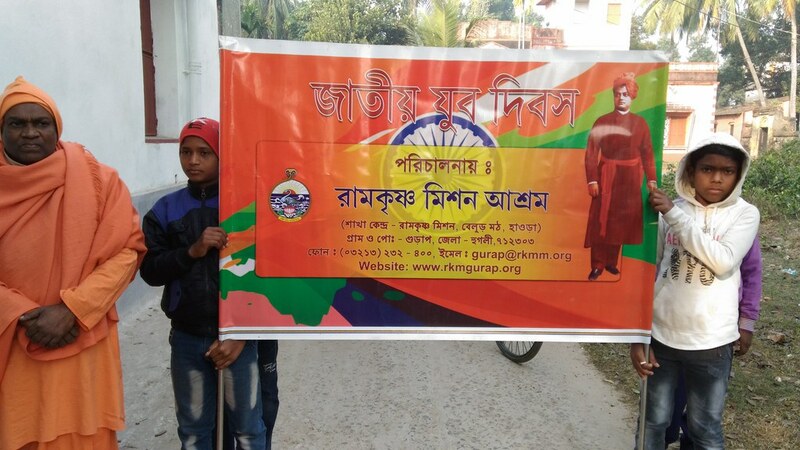 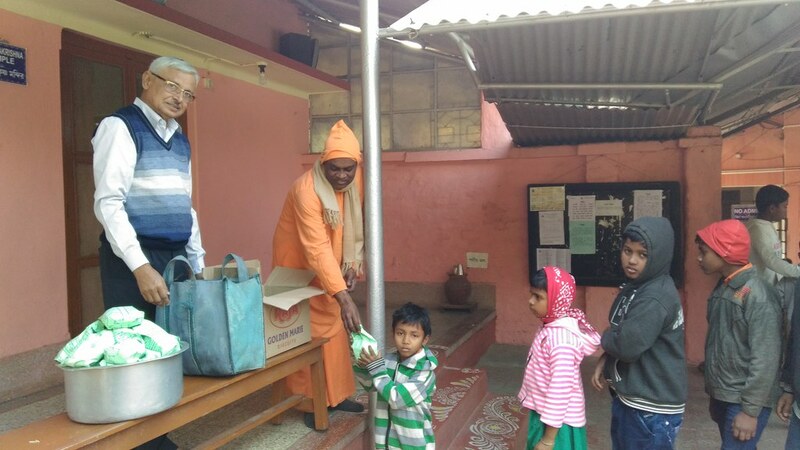 Ramakrishna Mission Ashrama, Gurap celebrated the National Youth day on 12 January 2019. 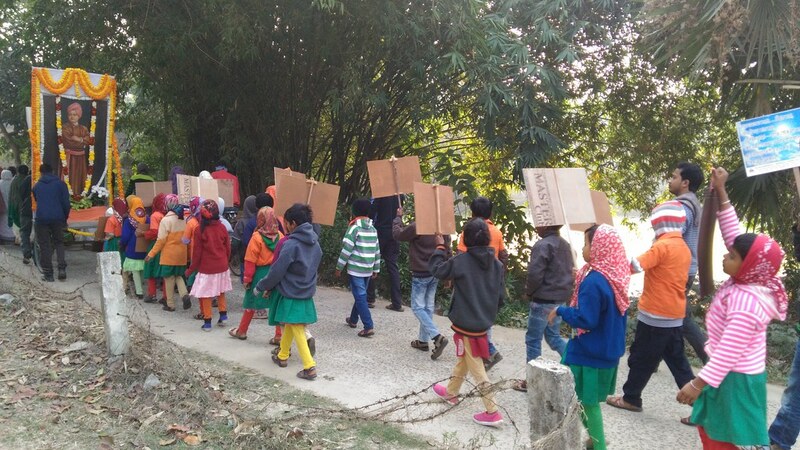 The celebrations started at 8.30 a.m. with a colourful procession. 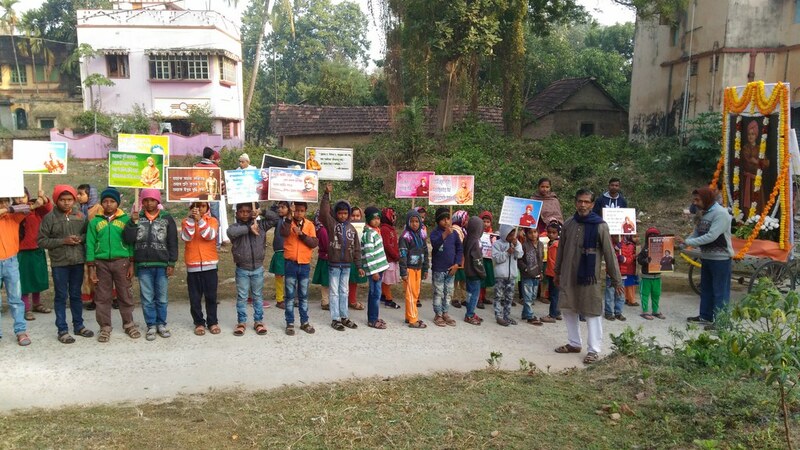 Students of Gadadhar Abhyudaya Prakalpa, Computer Section, Vocational Tailoring unit and the devotees took part in the rally. 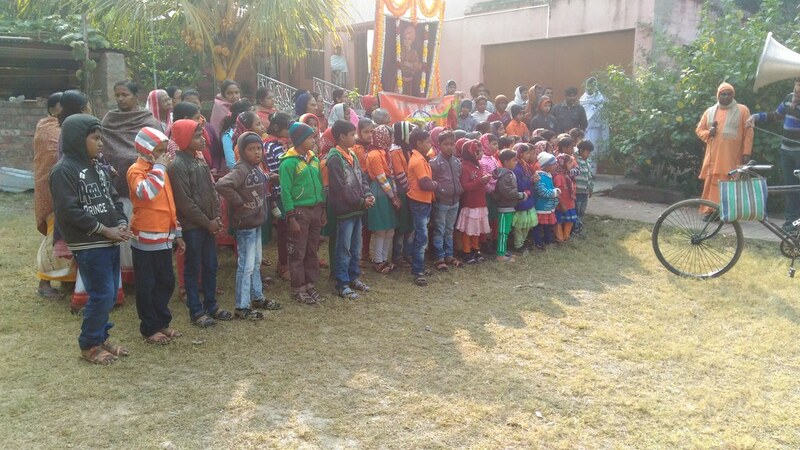 About 200 students and devotees covered a distance of 2 k.m. 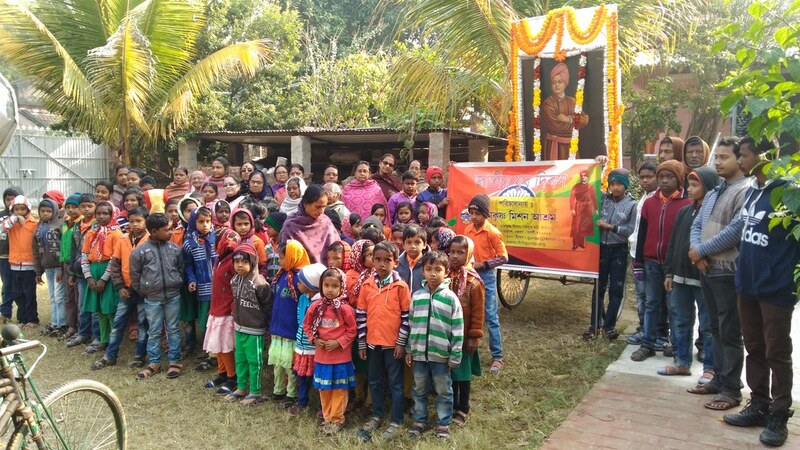 The celebration concluded with a cultural function which included the recitation of Swadesh Mantra, patriotic songs and speeches on the life and work of Swami Vivekananda.